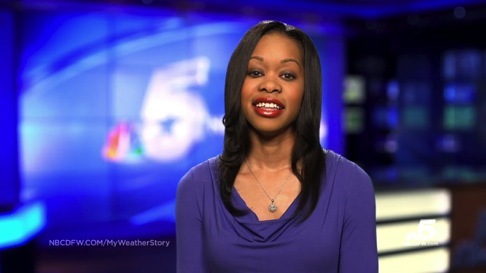 Meteorologist Remeisha Shade has been subtracted from NBC5’s six-member team after a six-year stay at the Fort Worth-based station. Shade arrived in November 2010 from WAFF-TV in Huntsville, Alabama, which was a quantum jump in market-size from No. 81 to No. 5. She has been NBC5’s weekend P.M. news weathercaster while also filling in on weekdays. The former Weather Channel meteorology intern, who was Miss Florida State University in 2003, got her start at KBMT-TV in Beaumont, TX before moving to the Huntsville station in 2006. Her picture and bio have been quickly removed from the nbcdfw.com website.